It makes sense to review a case based upon the chronological order of events normally associated with a stop, arrest, collection of evidence and release. If the Basis for the Stop or “Encounter” is found to be invalid, illegal and/or otherwise unconstitutional, evidence gathered, as a result, has the potential to be suppressed. That suppression is often referred to as “Fruit of the Poisonous Tree” or the Exclusionary Rule. 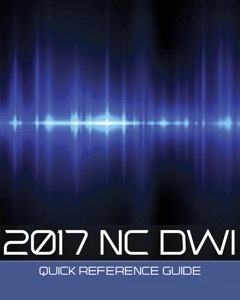 Normally, in North Carolina, a law enforcement officer is required to have at minimum Reasonable Suspicion to stop a vehicle. It is indeed possible to have Probable Cause to stop based on observing a known violation of the law. The reader may wish to read our other posts on the Reasonable Suspicion and Probable Cause. There are a great number of combinations and permutations of individual factual scenarios regarding stopping and seizing persons. The right of the people to be secure in their persons, houses, papers, and effects, against unreasonable searches and seizures, shall not be violated, and no Warrants shall issue but upon probable cause, supported by Oath or affirmation and particularly describing the place to be searched and the persons or things to be seized. The Courts (and Legislative bodies) have carved out are commonly referred to “narrowly tailored exceptions” to the general rule that people are to be secure in their persons, papers, houses and effects and not subject to intrusion by the State without reasonable suspicion or probable cause. Regarding the question posted herein, “Are DUI Checkpoints Legal?” one would be hard-pressed to justify, under traditional Constitutional precepts, seizures without probable cause. Checkpoints are not per se Constitutional under either the Constitution of the United States, as applied to the states under the 14th Amendment or the North Carolina Constitution. Rather, there are a number of different issues that can render the stop and seizure of the driver unconstitutional. This can result in the suppression of the evidence that came from an illegal stop and possible dismissal of the DWI or other criminal charges. One of the first steps in a Checkpoint analysis is determining the “programmatic purpose” or the “primary programmatic purpose” of the checkpoint. For example, checkpoints designed to verify drivers’ licenses and vehicles registrations, Delaware v. Prouse, 440 U.S. 648 (1979) and sobriety checkpoints, Michigan Dep’t of State Police v. Sitz, 496 U.S. 444 (1976), have been held constitutional. However, checkpoints set up to deter or uncover general criminal or “general crime control and public safety” would hopefully be deemed invalid by a Court of competent jurisdiction. City of Indianapolis v. Edmond, 531 U.S. 32 (2000). North Carolina Appellate Courts, reviewing modifications to N.C.G.S. Sect. 20-16A by the General Assembly, began to outline the statutory basis and/or exception to the 4th Amendment within State v. Rose. The United States Supreme Court has weighed in on the issue setting forth the precept that a trial court must first “examine the available evidence to determine the primary purpose of the checkpoint program.” City of Indianapolis v. Edmond, 531 U.S. 44, 46 (2000). State v. Rose explains that proving there was a valid, legal programmatic objective for the checkpoint, is a burden that rests on the state. Furthermore, “the State must present some admissible evidence, testimonial or written, of the supervisor’s purpose.” State v. Rose, 612 S.E.2d 336, 341 (2005)(emphasis added). The trial court must consider more than just the subjective intent of the participating officers and “specifically prohibits reliance on the individual arresting officer’s primary purpose or intent when inquiring into the programmatic purpose of the checkpoint.” State v. Burroughs, 648 S.E. 2d 561, 563 (2007). If the State can prove that there was a valid programmatic purpose, it must still must prove the reasonableness of the checkpoint, i.e. its constitutionality. The court in State v. Rose stated that this inquiry requires a balancing of the public’s interest in protecting the citizenry against an individual’s privacy interests. The severity of the interference with individual liberty. See State v. Brown, 443 U.S. 47 (1979). Why was there a particular need for a checkpoint in the particular area of the county? Whether police offered any reason why a particular road or stretch of road was chosen? What was the predetermined starting or ending time? Why that time span was selected? See Also: State v. Veazey, 662 S.E.2d 683, 690 (2008). Id. at 691 One of the more recent cases that adds to the legal inquiry was decided by the North Carolina Court of Appeals in February of 2014 is State v. White. The court emphasized the need to have a written plan in order to comply with NCGS 20-16.3A. Of primary import was the strict scrutiny of the checkpoint against statutory authority. As an exception to the 4th Amendment, checkpoints must fully and completely comply with statutory restrictions. The White Court reiterated the importance of strict compliance with statutory authority and that a statutory violation of 20-16.3A, or a constitutional violation under Rose and the accompanying cases, can and should render a checkpoint invalid and unconstitutional. 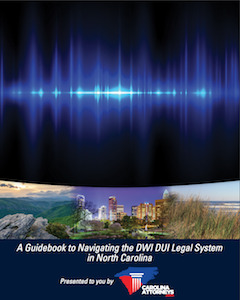 If you have more questions regarding Checkpoints in North Carolina regarding answering the question: “Are DUI Checkpoints Legal?” please feel free to contact Powers Law Firm, pllc at 704-342-4357. North Carolina 4th Amendment Issues.